A couple of years ago, while booking a flight from Vietnam to DC, I realized I’d have no choice but to go through Tokyo and — to make things even better — could schedule my flight so as to have a 12 hour – 4 day layover there at no extra cost. If you’ve got a stopover, Tokyo is a great city to get out and explore. Tokyo! Forget Frankfurt and Houston, this was going to be the coolest stopover ever. Unlike some of the other long stopovers I’d been dealt, Tokyo was large, vibrant, totally unique, and full of some of my favorite foods (ramen… mmmm…). I was lucky enough to spend 4 days in Tokyo, but if you too find yourself with a 8 – 24 hour stopover in Tokyo, here are some tips on how to get out of the airport and make the most of your time. Typically, it takes about 30-60 minutes to get through customs, collect your baggage, and clear Narita airport. Most of the time, it’s closer to the 30-40 minute range according to a thread on Japan-guide (I cleared it in about 30 minutes in 2013). If it’s not too crowded and you don’t have any problems with customs, you could clear customs, check your bag at luggage storage, buy a train pass, and board the train within an hour to hour and a half. Getting into Tokyo will take 60 – 90 minutes. Narita City is about 10 minutes from the airport. The tricky part is timing your transit right — a lot of the trains only run once or twice per hour. I’ll get into more details about transportation and what to do on your stopover in a minute, though. 10:30am – 5:00pm – Explore Tokyo! To make sure you get through the airport and downtown quickly, it’s helpful to download a map of the airport (also available on airline apps, like United) and figure out where you have to go before you land. Narita airport has several different locations for baggage storage in both Terminal 1 and Terminal 2. For a medium sized suitcase, it costs 520 Yen (about $5) per day. Be sure to keep your passport on you, however, since you’ll need it to reenter the airport. Also, keep in mind that these luggage storage areas are not lockers, but are serviced by an individual. They’re open from about 6 or 6:30 to 22:00 or the last flight out for the day — which could keep you from checking your baggage if you need to check, or collect, your luggage outside of these hours. For more details on each individual location, prices, and opening hours, consult Narita Airport’s guide to baggage storage. For citizens of the EU, UK, USA, and Canada, you won’t need a visa to enter Japan. You’ll receive a tourist visa on arrival. Trains: Several different train lines run into Tokyo. The official airport website breaks down the lines for you, but I’d recommend Googling the directions and following that to get up to date timetables. Limousines: The airport limousine bus will take you to Tokyo Central Station for 3,100 yen ($30 USD) and the airport shuttle bus will get you there for 1,000 – 2,000 yen ($10 – 20) depending on the time of day. Taxis: Expect to pay about 20,000 yen ($200 USD) into the city. Yikes. 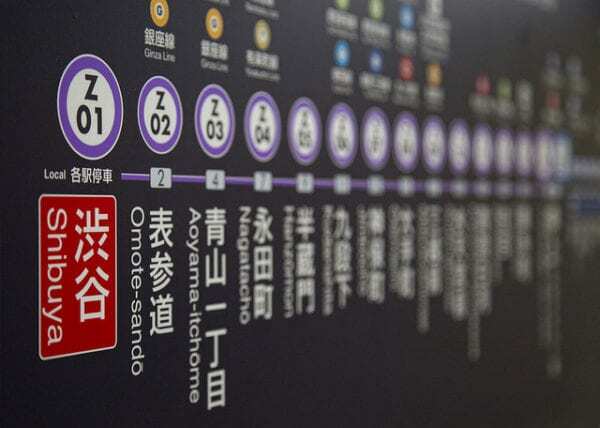 Once you’re in the city, you can take the Tokyo subway around to reach different neighborhoods or points of interest. 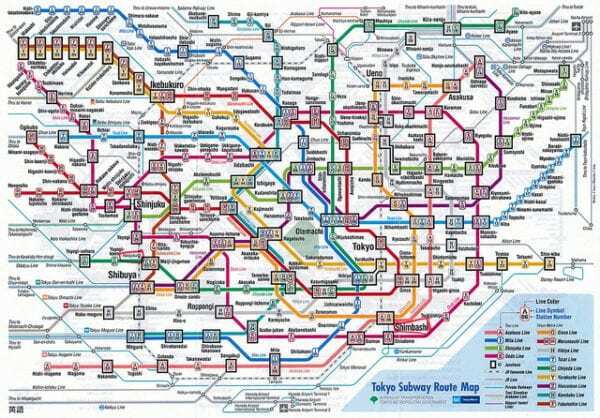 An important thing to note is that most of Tokyo’s subway lines start at 5am and end at midnight. For shorter stopovers, you could alternatively skip Tokyo and go to Narita City instead. To get into Narita City, take the JR rapid train (240 Yen, one per hour) or the Keisei train (260 Yen, one every 20 minutes). The trip takes about 10 minutes. To ride these trains, you can purchase a Pasmo card (it’s a little plastic card that you fill with credit and you can tap on turnstiles to get in/out of the metro) at the airport. For some trains, like the Narita express, you’ll have to get an additional ticket from a machine to ride. One of the coolest features about the Pasmo card is that, if you return it once you come back to the airport, you’ll get a refund for the card and reimbursed for any money left on there. Honestly, I was super confused when I tried to hop the train to Tokyo — even after reading a lot about it — and ended up asking for help. Fortunately, the staff at the train station were really helpful and made sure I bought the right pass. Okay, now to the fun part: how you can spend your time on a Tokyo stopover! Visit the Buddhist temple, Naritasan Shinshoji, and nearby Naritasan Park. Pick up snacks and souvenirs while walking around Omote-Sando, Narita’s main street. Really, who needs more than a bowl of ramen and a walk in the park between long flights, anyway? If you don’t have a full day, but enough time to make the trip all the way into Tokyo, you’ll have plenty of ways to experience the city in that short amount of time. One recommendation I have is to go to Asakusa, one of the “low city” neighborhoods in Tokyo. Since it’s on the eastern side of Tokyo, it’s closer to Narita Airport and should take you about 60 minutes on the Narita Skyaccess train (runs every 40 minutes). In Asakusa, you can visit the buddhist temple, Sens?-ji (also known as Asakusa temple), which is Tokyo’s oldest temple. After, wander the narrow, labyrinthine streets nearby to window shop and grab some lunch. A great neighborhood to get lost in, you’ll discover elements of Tokyo’s past, and really isn’t that crowded. If you’re trying to stick around Tokyo’s Central Station, you’ll be just a few minutes walk away from the Tokyo Imperial Palace and gardens — just keep in mind that they are closed on Monday and Friday. You’ll also be a quick subway ride away from Tokyo Tower (an observation point) and the neighborhoods of Marunouchi, Ginza, and Nihombashi. Pick one and wander. Trying to pull an all-nighter? Find a 24-hour eatery, like Shibuya’s Yamaga (an izakaya place) to spend the night drinking, people watching, and snacking. Kanpai! 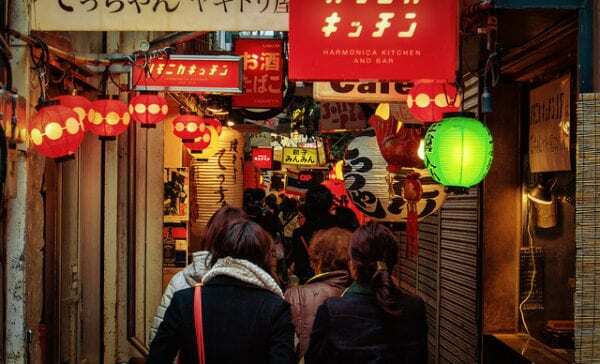 If your layover gives you enough time to spend another 30 minutes getting elsewhere, that opens you up to exploring one of Tokyo’s southern or western neighborhoods, where you’ll find Tokyo’s younger and hipper neighborhoods. Get a glimpse of colorful, crazy fashion in Tokyo’s Harajunku district. Feel Tokyo’s energy in the buzzing Shinjuku district, then get a bit of calm in Shinjuku Gyoen, one of Tokyo’s largest parks. If you’re feeling jetlagged or trying to fill awkward hours (like, say, 2:30 – 6am), you could attempt to see the famed tuna auction at Tsukiji fish market. You’ll have to line up early to snag one of the 120 viewer spots and it’ll eat up a good chunk of time, but it’s doable if you’re trying to pull a sleepless 24-hour stopover. Otherwise, relax in an Onsen Hot Spring, go shopping in Shibuya, find yourself a wonderful sushi spot to indulge in, watch some sumo, or visit one of Tokyo’s many museums. For more tips on where to eat and less touristy things to do, Time Out Tokyo has great recommendations. When I visited Tokyo, I was on a mission to find a good beer (after 2+ years of boring lagers in Madagascar) and ended up discovering several bars that were serving beers from Tokyo’s burgeoning craft beer scene through Time Out. If you’re spending 15-24 hours in the city, you could look for hotels, hostels, or capsule hotels near the closest train stop. Personally, I stayed at Khaosan World Asakusa Ryokan and loved the cozy old-school vibes, but there are literally hundreds of sleeping options in Tokyo to choose from. If you want to stay in the city, any of your favorite booking sites will guide you towards a good place to sleep. For those of you who are curious about Japan’s famous capsule hotels, they’re said to be a little pricey for what they are (you could pay the same for a dorm bed and get more space) but very novel, iconic Tokyo, and pretty much your best option if you just need a quick daytime nap. 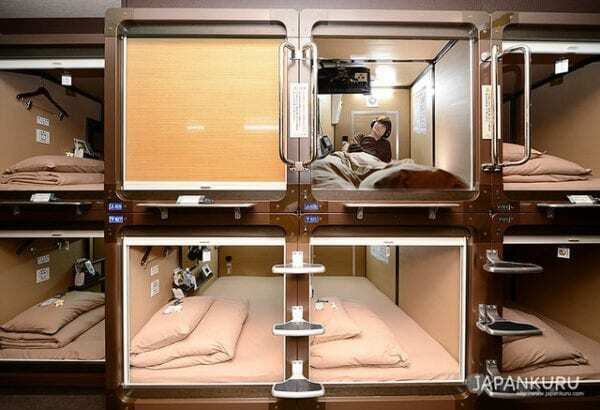 9 Hours is a capsule hotel in Narita Airport’s Terminal 2 where you can rent by the hour between 9am and 6pm or spend the full night outside of those hours for about 5,900 Yen ($59 USD) per night. Everything else will be about a mile from the airport. Got a long stopover in Tokyo? Lucky you! 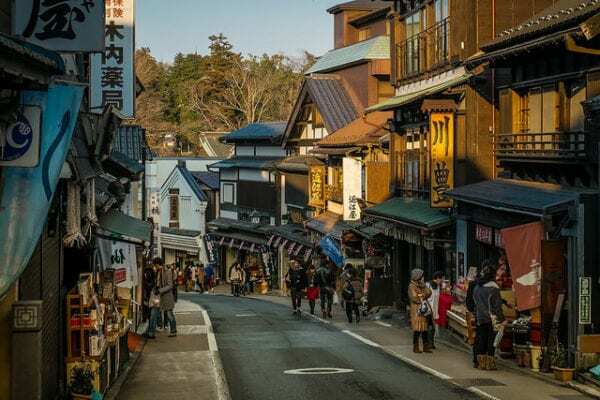 If you only have a couple of hours on your hands, stick around the airport and get a glimpse of everyday Japanese life by taking a train to Narita City. If you have at least 7 hours (though ideally more), buy a Pasmo card and go to Tokyo central. 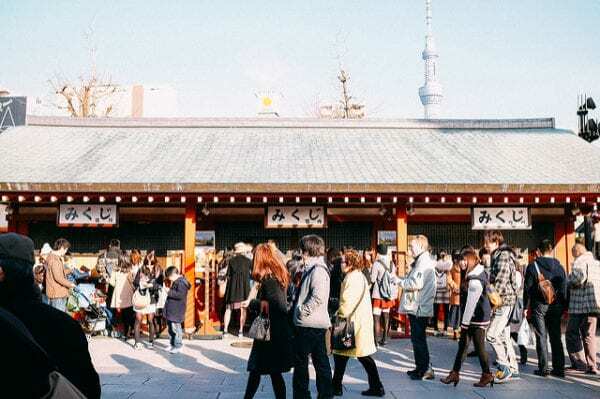 Most trains and busses will drop you near Tokyo Central Station, but both it and the traditional-feeling neighborhood of Asakusa are within an hour from the airport. 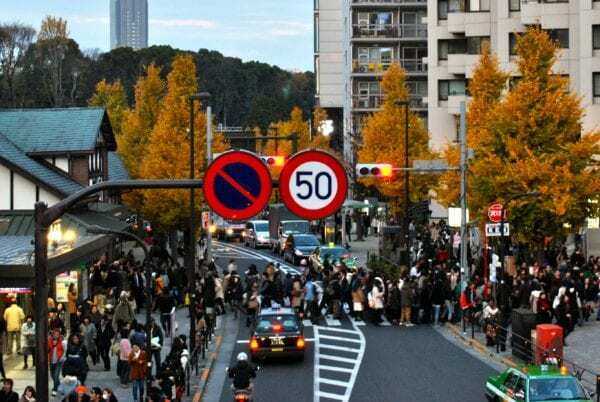 Other neighborhoods, like Shibuya, Harajuku, and Shinjuku will take about 90+ minutes from the airport but can be explored if you have more than 15 hours to spare.